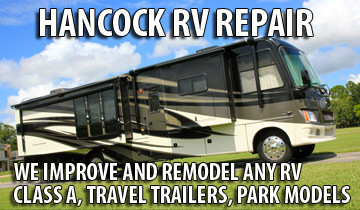 Fiberglass repair – When your watercraft has damage for whatever reason, Hancock RV is here to repair the damage and get you back out on the water. We restore damaged fiberglass boat hulls, Jet-Skis, really any type of watercraft can be restored. Let our expertise fix boat damage. 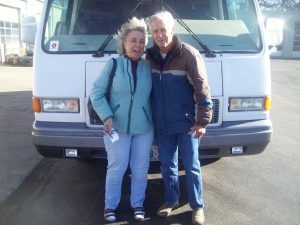 Whether it be a small pleasure vessel, or a large yacht Hancock RV service has you covered! 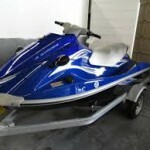 Our watercraft restoration service is not limited to exteriors! Hancock does watercraft interior renovations and remodeling as well. 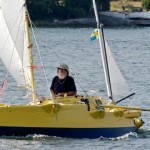 We can repair any size fiberglass boat! We will have your boat looking like new with fiberglass restoration! 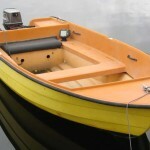 We can provide fiberglass boat repair service, gelcoat and multi-color polyflake boat repairs, restoration, refinishing and custom gel-coat color matching. 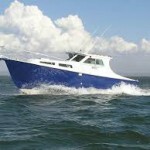 We offer complete floor and/or carpet replacement & pontoon boat furniture replacement. We repair minor & major gelcoat & polyflake damage including holes, cracks, chips, airpockets, scrapes, gashes, spidering or “crazing”, osmotic blistering a.k.a. “boat pox”, scratches, “dock rash” and De-lamination. If your boat has any type of fiberglass impact or structural damage, fractures, soft or rotted floors, transoms and/or stringers, we can help. Have dull, chalked, faded gel-coat color? Let us rejuvenate it with our color restoration process! Mobile service is available for yacht clubs & marinas.